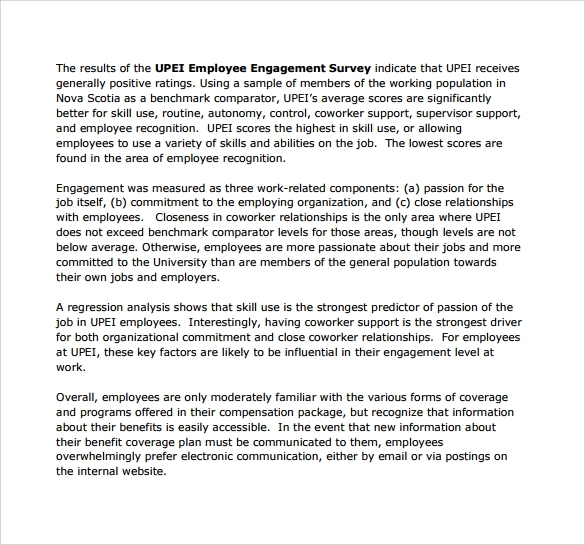 Example template that you need for this particular survey can be seen online and have the sample for the employees to write down their passion and pride for their job; Employment Satisfaction Survey can identify if most of their employees will remain and contented of what kind of job they have and the company they are working to. Every small business engages its employees in a different manner. 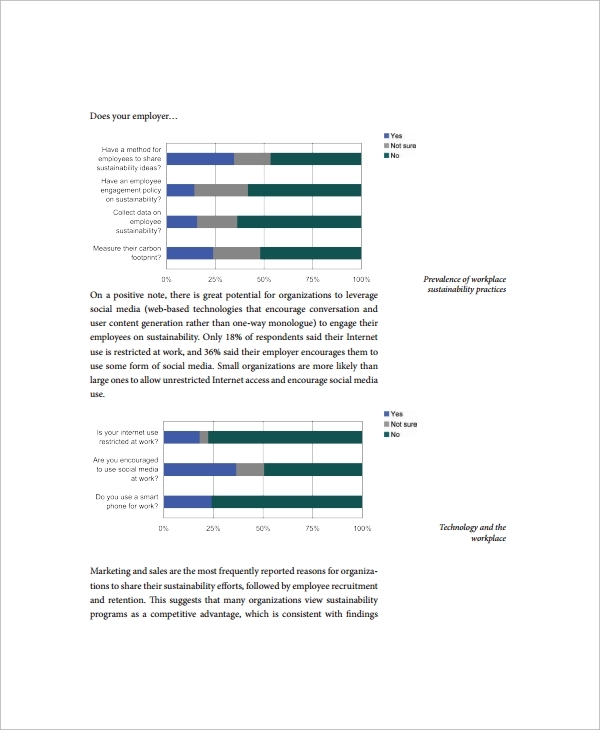 And that is why, the survey conducted on people who work for a small business also needs special tools like a Small Business Employee Engagement Survey Template. 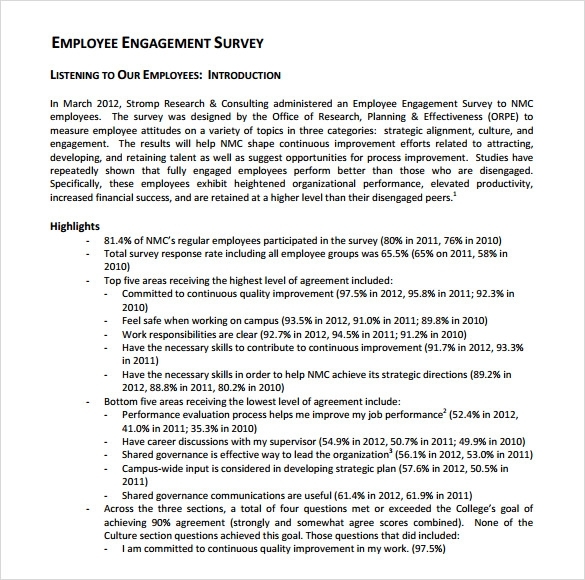 The employees associated with a medium scale business are neither completely dissatisfied nor satisfied. So, gauging their engagement often remains difficult. 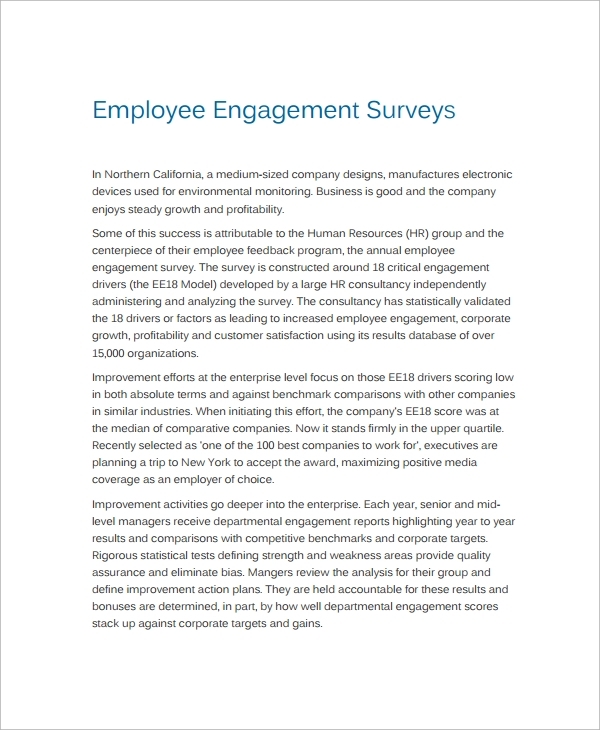 By opting for a Medium-Scale Business Employee Engagement Survey Template, you can make this tough job easy. 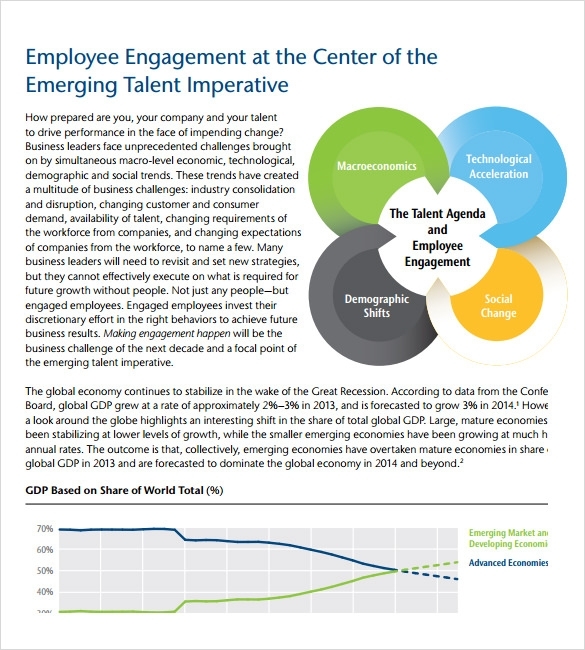 The most important aspect of large scale business employee engagement is that a lot of people remain involved here. 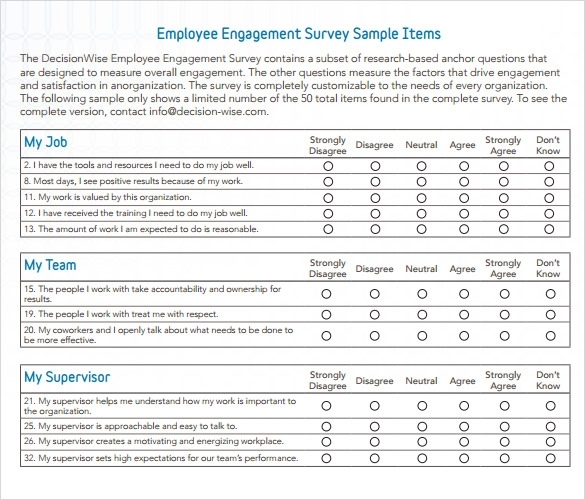 Surveying such a huge bunch of people won’t be successful if you don’t use a Large-Scale Business Employee Engagement Survey Template. 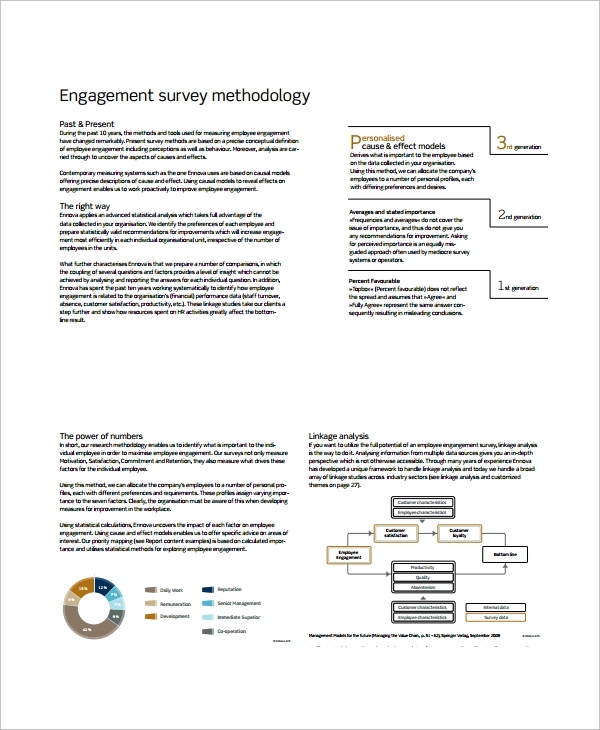 For most people who prefer their templates to be simple and catchy, this Simple Employee Engagement Survey Template can work wonders. The content as well as design of this template is impressively decent. All you need is to download this and get going. When the employees in a company work dedicatedly, the company prospers. To make sure your company has the best bunch of employees, you must see to it that they feel engaged in their work or with the organization. 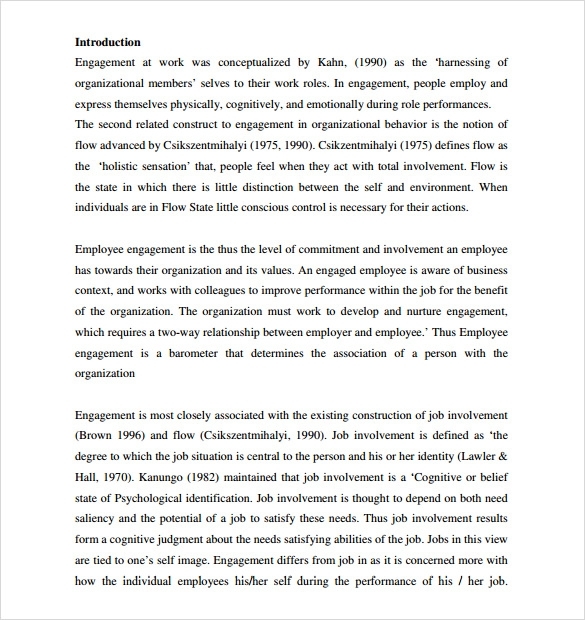 This feeling of engagement is referred to as Employment Engagement Survey. 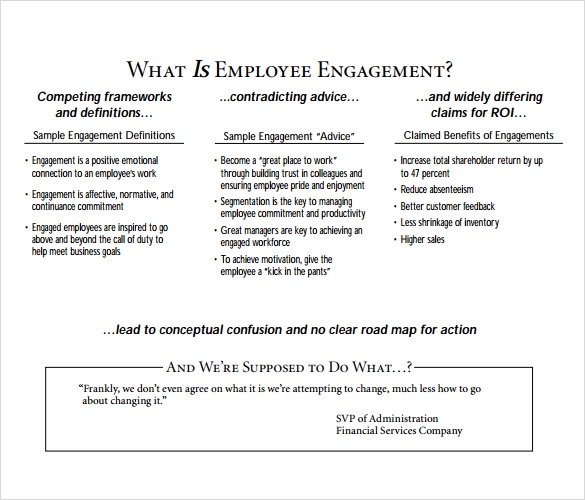 An engaged employee is likely to work more efficiently than one who feels disengaged. 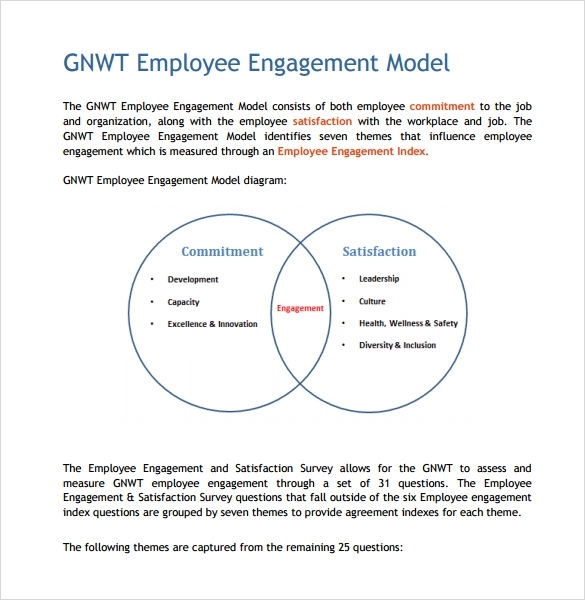 And that is why organizations should put efforts into making their employees feel more engaged and then surveying the levels of their engagement. While doing so, you must consider the context of your workplace. 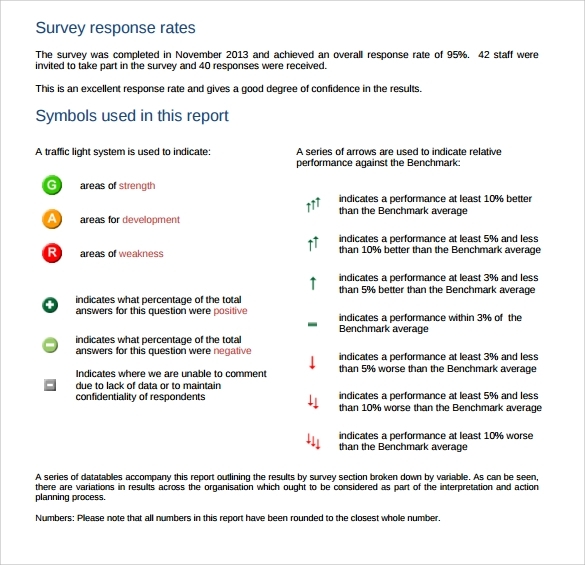 While it’s a good practice to create your own survey format, you can’t do so effectively if you don’t have the desired experience. 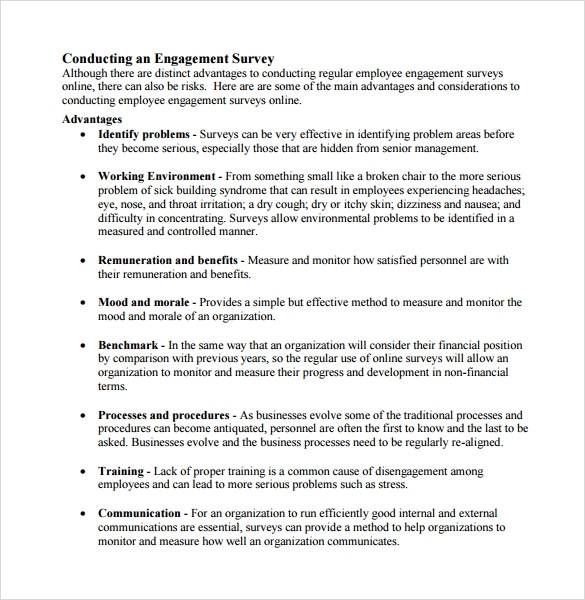 And that is why opting for an employment engagement survey template is of utmost necessity to minimize unnecessary labor. Also, Survey Templates save your valuable time. Where to get These Templates From? These templates are easily available online. Because there is a huge variety of them available, you will never have to come back disappointed. Also, they are available in free as well as paid forms. Choose one according to your budget. Many people have begun using these templates; why not join the bandwagon?